​Two days removed from one of the more absurd games you'll ever see that stretched four OTs deep, the ​Bulls and Hawks are back at it, this time at the United Center in Chi-Town. And there appears to be some sort of residual bad blood between the two sides left over from that battle. 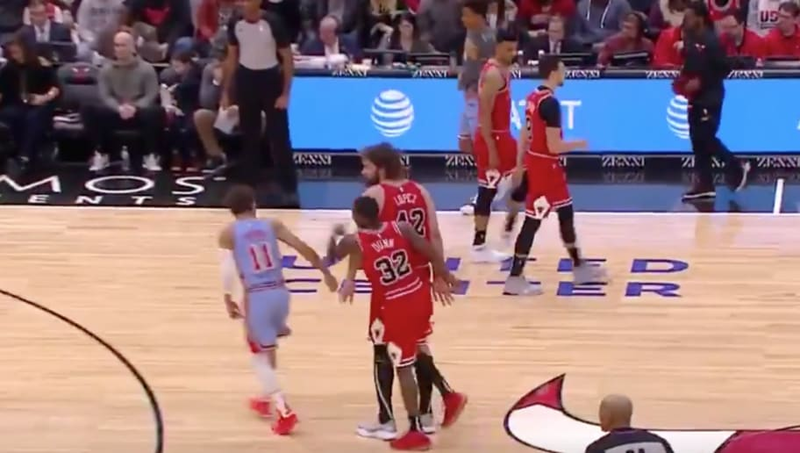 Otherwise, I can't explain why Kris Dunn chose to smack Trae Young in the back of the head here and incite a little scuffle. ​​What's the matter, Kris? ​Trae put up too many buckets on you Friday in the ATL? Young's been overtly impressive in recent weeks, tightening the Luka Doncic ROY race significantly. Maybe he needs a bit of buzzworthy-ness around his name as he tries to ascend to the mountaintop? ​​We're talking, Trae. Keep doing whatever you're doing. Luka winning is hardly a Dunn deal. Ideally, this one goes less than four hours, but no promises. We hope everyone just escapes intact.